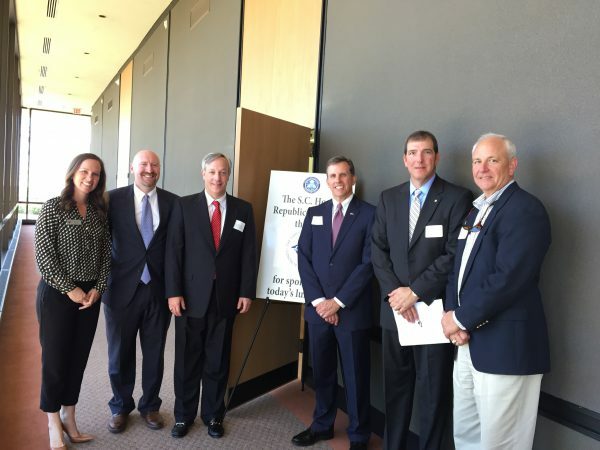 CRMCA hosted the SC Republican House Caucus for lunch this week. 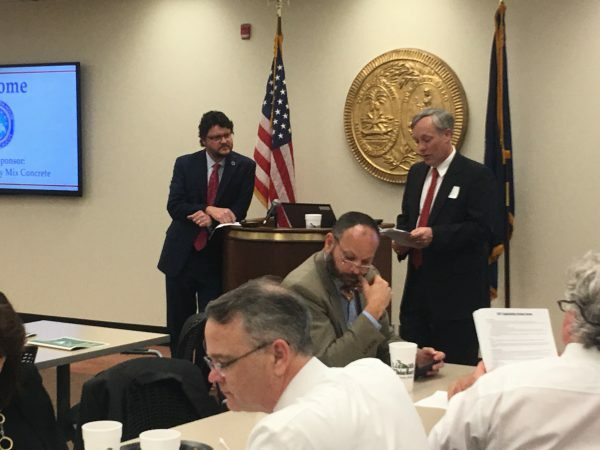 Members of the SC Legislative Committee divided and concurred during the lunch – spending time with key legislators discussing issues including Road Funding, Coal Ash Recycling, Life Cycle Costs, Real ID and more! This opportunity comes once a year and is a great opportunity for CRMCA to voice our industry issues while building relationships. 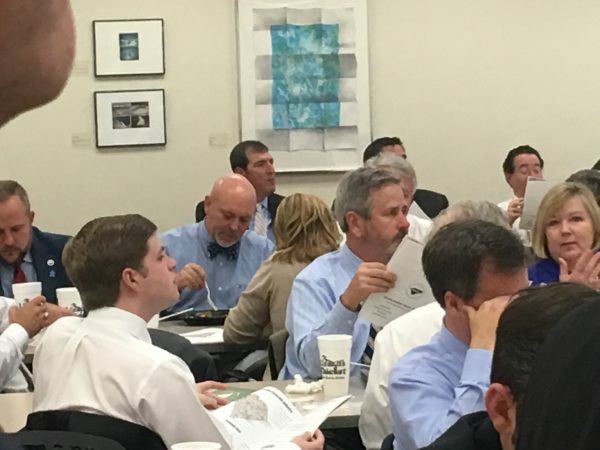 Following the lunch CRMCA members visited with legislators from local districts as they came out of session. This event allows a limited number of CRMCA attendees so thanks to those who participated and helped move our issues forward! Multiple Legislators approached us about bringing legislation forward for Life Cycle Cost and Recycling Coal Ash in SC. For those who missed it be sure to check our SC Legislative Action Items which were distributed to all and will be a key piece in our continued efforts to move our items forward this year. Thanks to our Member Companies Who Participated! We urge you to prioritize Road Funding in South Carolina and ask you to pass a plan to fix our roads this year! Provide SCDOT with sustainable, dedicated and recurring funding to meet the state’s growing transportation infrastructure needs. -Adjust and index the motor fuel user fee. -Increase the vehicle sales tax cap. -Reasonable adjustments to vehicle/driver-related fees. Address the state’s transportation needs in a fiscally responsible and conservative manner by phasing in any new funding. Support a strategic safety plan to lower the fatality rate on South Carolina highways which are some of the deadliest in the nation with over 900 deaths occurring annually. Dedicate current transportation funding to SCDOT and safeguard funding from legislative redirects to the General Fund or other government agencies. Thank you for your action on Real ID – South Carolinians need drivers licenses that are in compliance with federal security standards. The June 6, 2017 deadline will greatly affect the ready mixed concrete industry as we currently deliver concrete on a daily basis to military installations and nuclear sights. After the deadline we will not be granted access to these sites without another source of identification. We need SC to engage in public-private collaboration/initiative which more directly engages the public, students, parents, potential workers and professionals in the industry to deal with the workforce shortage when it comes to CDL Drivers. Of 130,159 SC CDL holders, those between 18-21 years of age are 0.5%, while those over 52 years of age are 45%, of the total. Yet, 80% of South Carolina’s communities depend exclusively on trucking services for the freight and service needs, as do practically every industry, sector, and consumer. According to the SC Trucking Association 2000 new CDL Drivers are needed today to meet the demand in SC. Last year, the concrete industry in South Carolina could have consumed 659,000 tons of fly ash for making roads, bridges, pipes and buildings. Currently energy companies only produce a fraction of the coal ash we need thus we have been importing it from other states and other countries as far away as Asia. The demand for Ash in South Carolina and bordering states will exceed 46 million tons in the next 15 years. In light of the recent fires throughout the country, the fire services community knows higher standards mean safe structures. Sustainable and durable development is the only economically viable way to build safe and resilient communities and infrastructure.